After you press Start Restoring it will ask you for your password. Wait until it finishes and your image is written on your USB drive. 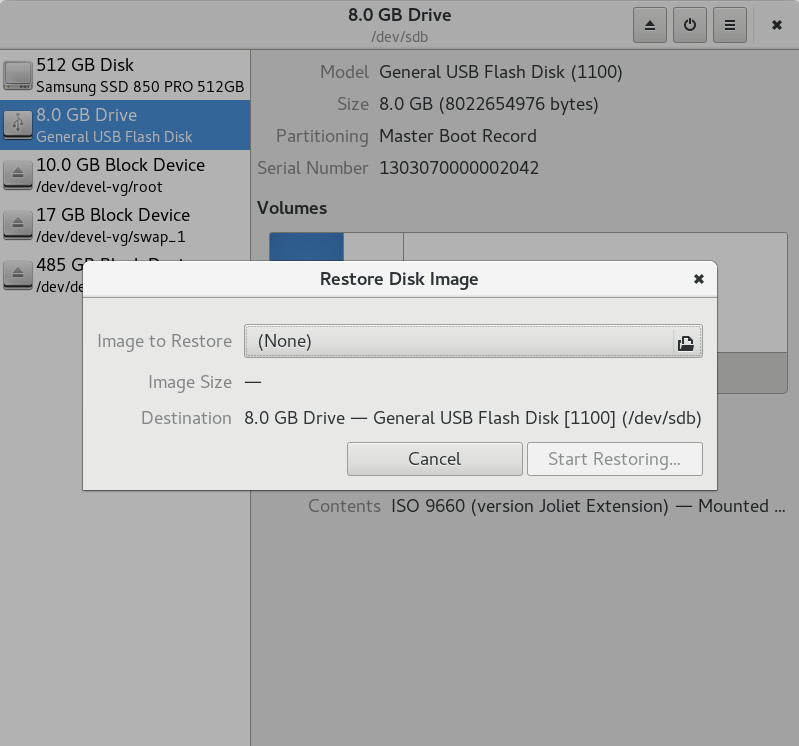 To boot from an SD card with a new image you'll need to insert your SD card and restart the laptop. 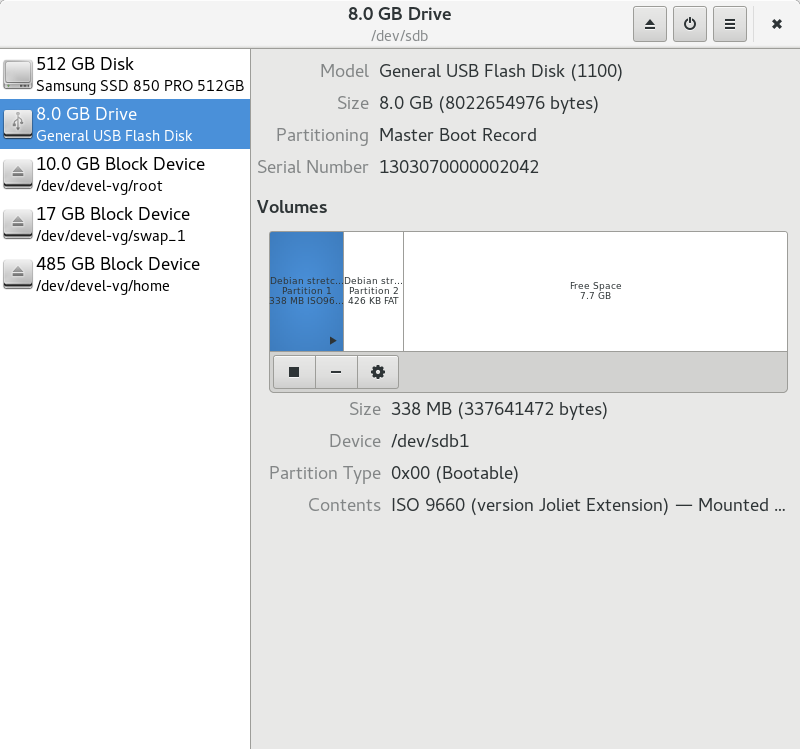 At the boot screen (with the Purism image) you'll want to hit the escape button (top left on the keyboard) which will bring you to a menu of different drives you can boot from. Select the drive you need, in my case it was "USB MSC Drive Multiple Card Reader 1.00"
Follow the prompts as the new image boots. NOTE: You can also do this using Etcher or using dd command in Terminal.